I would like to say thank you to the breeders for choosing my Zody for their females and for giving me the opportunity to take part in the development of my "baby´s" babies by sending me pictures or allowing me to see the puppies. I´m proud of every single puppy and more than happy that they are so beautiful and promising. 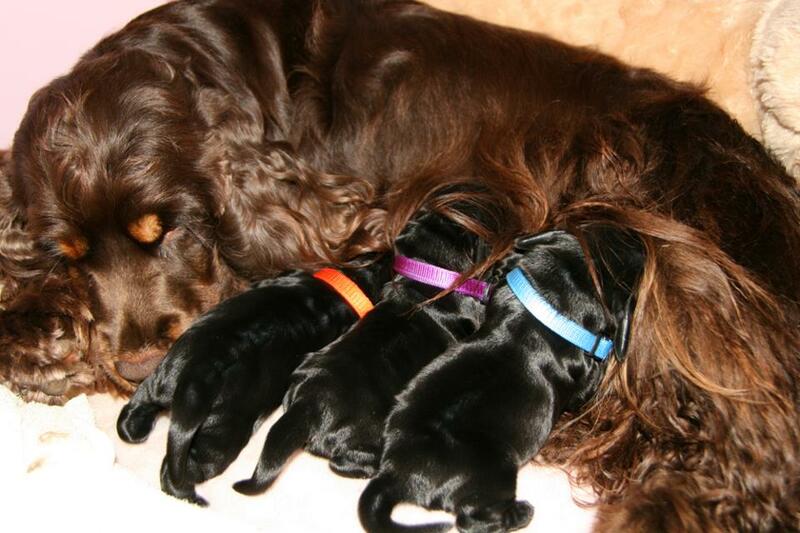 It fulfills me with deepest satisfaction that the breeders are so happy with their litters after my Herzenshund. I really wish all owners that they will become as contended with their cockers as I am with my Zody and would be happy to get some information or pics of them occasionally!